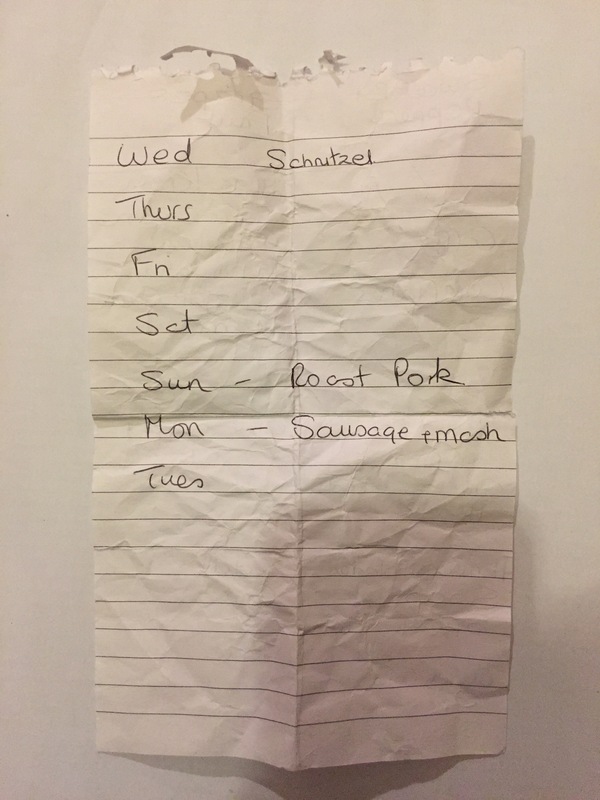 This well organised person has taken the trouble to note down a plan of the meals for the week. On the menu are schnitzel, roast pork (on Sunday obviously) and sausage and mash. Are any of the ingredients on the front of the list? Are these people going out on Thursday, Friday, Saturday and Tuesday?